Fire and flood response in Northern Ireland by React Ireland. Smoke damage, fire and flood response – REACT Ireland Limited. Northern Ireland's leading fire and flood response service. We clean, restore and repair smoke damage, fire damage, flood damage and all in-line with your home insurance.  REACT provides fire and flood response in Northern Ireland. We help homeowners and businesses to deal with fire damage, smoke damage, flood damage and specialist clean up. Our success comes from the range of services we provide. You do not need to struggle to manage a number of different contractors and cleaners instead you will have your own Claim Coordinator and we will take care of all the works with our in house technicians and trades. This approach ensures your disaster is resolved quickly and efficiently and enables you to move you back into your fully restored house or business as quickly as possible. Our team have successfully cleaned, restored and repaired thousands of fire, storm and water damaged properties. We understand the difficulty and stress experienced during a claim and you can be assured we will React swiftly with care and competence. Its our mission to immediately and professionally respond to our customer needs, making sure to deliver the highest standards of service. We have rapid response units fully equipped to deal with virtually any situation, whatever the scale of the emergency/disaster from smoke residue removal to extensive water damage. We provide Insurers, adjusters, brokers, homeowners, businesses, with outstanding services which include fire & flood restoration, structural drying, leak detection, storm and impact repairs, property repairs and oil spill remediation. We are experienced and equipped to deal with both buildings and contents. For our 24hr fire damage and flood damage response service.